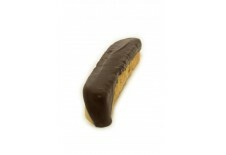 Our traditional Almond biscotti generously finished with dark chocolate icing. Qty 1. .. This elegant biscotti unites the crunchy, caramel taste of English toffee with creamy, rich milk cho..
Our version of the classic flavor, this biscotti is made with dark chocolate, coconut, chocolate chi..
A velvety blend of dark chocolate, peppermint and chocolate chips, with a dipping of mint green choc..
Be-Bop's #1 best seller. 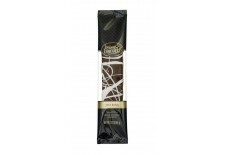 Made with fresh roasted Oregon hazelnuts this dazzling biscotti is a true h.. Crushed chocolate covered espresso beans provide the foundation for this coffee lovers biscotti. Dip..